Back in April 2012 we were pummeled by three days of guitar craziness. Mr. Van Halen led the assault with supporting fires from Marty Stuart! LIVE MUSIC STILL RULES! Click here to read the story and get some lessons learned. BTW -- Summer NAMM 2012 in Nashville was the worst yet. Our Visit to the Bonnaroo Festival 2010. We took a great trip to Manchester, Tennessee in June 2010, and it was pretty tough. THE RETURN OF THE "NASHVILLE NAMM"! Our Visit to Summer NAMM 2008. We took a great trip to Nashville, Tennessee the weekend of 21 June, 2008. Click here to check out the photos of killer gear and our commentary! Our Visit to the Bonnaroo Festival 2008. We took a great trip to Manchester, Tennessee in June 2008, bro. Talk about music overload! Click here to check out the photos and commentary! THE RETURN OF VAN HALEN! 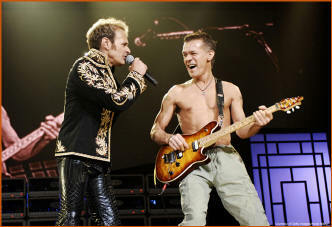 Van Halen 2007...were you there? Click here to read a review of the second show of the tour. How much have things changed/stayed the same? 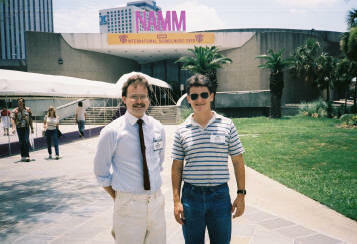 We pulled these photos out of the vault...yes, Summer NAMM 1985, New Orleans! Click here to check out the photos and the commentary on the 22nd Anniversary. Our Visit to the Fall Philly Guitar Show 2006. We took a great trip to Reading, Pennsylvania to the big event. Click here to check out the photos and commentary! 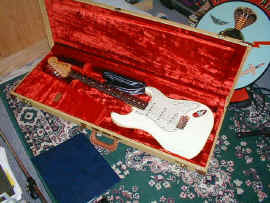 Test Drive: GuitarAttack AttackBucker pickup, October 2006. Click here to read a user's review. 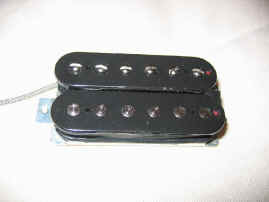 This pickup is wound for a "Brown Sound", and is described in full in our Striped S-Style how-to. Click here to read about the guitar that inspired this pickup. 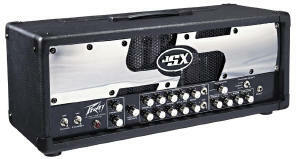 Test Drive: Peavey JSX "Joe Satriani" amp. Click here to check out our review of this incredible amplifier. Test Drive: Peavey Raptor EXP. Click here to check out our review of this insanely inexpensive guitar! Our Visit to Summer NAMM 2004. 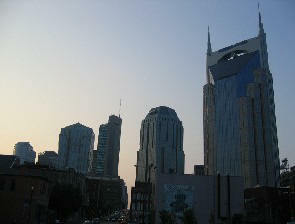 We took a great trip to Nashville, Tennessee the weekend of 23 July, 2004. Click here to check out the photos and commentary! Our Visit to Summer NAMM 2003. We took a great trip to Nashville, Tennessee the weekend of 18 July, 2003. Click here to check out the photos and commentary! 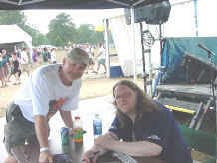 Our Visit to Bonnaroo 2003. We took a great trip to Manchester, Tennessee in June, 2003, dude. Click here to check out the photos and commentary! 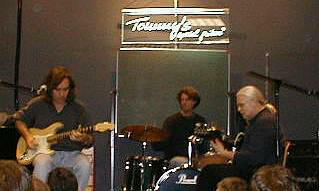 Our Visit to Winter NAMM 2003. We took a great trip to Southern California in January, 2003. Click here to check out the photos and commentary! Dan Toler with the Taylor Brothers! As chronicled on the Opinion Page, Dan Toler, currently picking nightly with Mr. Betts, jammed with some friends at a rehearsal one night many years ago -- he was playing with Gregg Allman at the time. Here is an MP3 file made from the original bootleg. Check it out -- Click here to download the sound file! Click here to read all about the session. Our Visit to Summer NAMM 2002. We took a great trip to Nashville, Tennessee the weekend of 20 July, 2002. Click here to check out the photos and commentary! Download the GuitarAttack Fingerboard Study Charts! Perfect for instructors and players alike. Both are in Adobe PDF format. Click here to download a full page of handy 5- fret grids -- perfect for chord study! Click here to download a full page of handy 15-fret grids -- perfect for progressions and scales! If you don't have it already, click on the Get Acrobat Reader graphic to download Acrobat Reader for FREE! 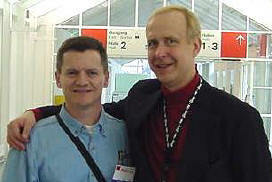 Our Visit to MusikMesse 2001. We took a great train ride to Frankfurt on 8 March, 2001 and experienced the largest musical instrument show imaginable! Click here to read all about it. Listening to a great Strat Player, Part 2. 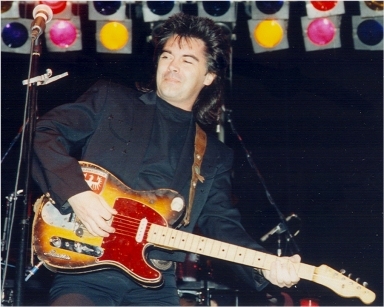 Carl Verheyen returned to Viersen, Germany on 5 February, 2001 for a killer clinic. Click here to read all about it. More worthwhile reading! 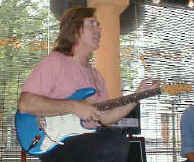 Listening to a great Strat Player. Carl Verheyen is a great pro player. 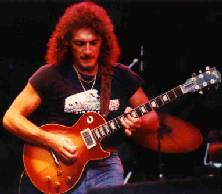 I got the chance to hear him give a clinic and killer concert in nearby Viersen, Germany during July 2000. Click here to read all about it, including setup tips, practice tips, and how to sound like a pro (well, nearly). Worth the time to read! Playing Our Favorite Stratocaster. Click here to hear an MP3 of the Yngwie Strat through a POD Version 1 (which has since been upgraded to Version 2). This is a little rock "ditty" that lasts about one minute and is a pretty good headbanger. This is a great, great guitar, and recommend it to anyone looking for something different. Q: Why haven't you been to more guitar shows lately? A: First, we have been, but they are not that great. Sadly, eBay has made everybody an expert in vintage guitars, and even the most commonplace guitar is now is overpriced and considered to be a "collector's item". We have lost interest in going to these shows after continually being disappointed. Additionally, the recent ones we've attended are awash with fake vintage Strats and Teles, and we really don't want any part of that.